By Karissa Straughen. Images and video supplied. South Australia is known for world class wine, cheese and produce; but not many people know that the state has Australia’s shortest drive from a capital city to wine country. 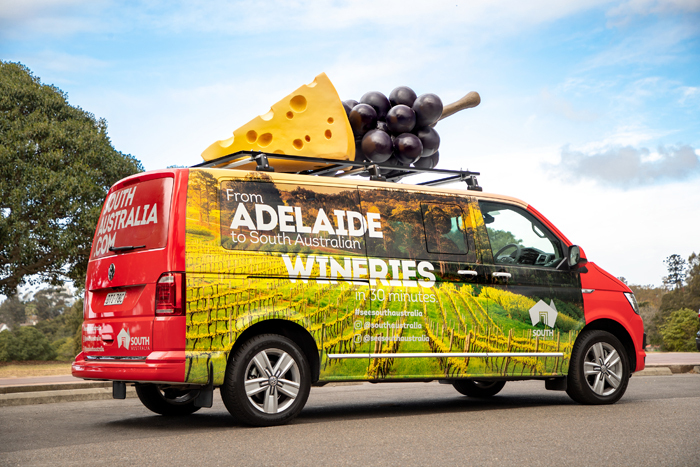 For one day only, on Thursday 30 August, South Australia will be transforming two large SUVs into the world's first wine and cheese commuter vehicles, transporting Sydneysiders home. 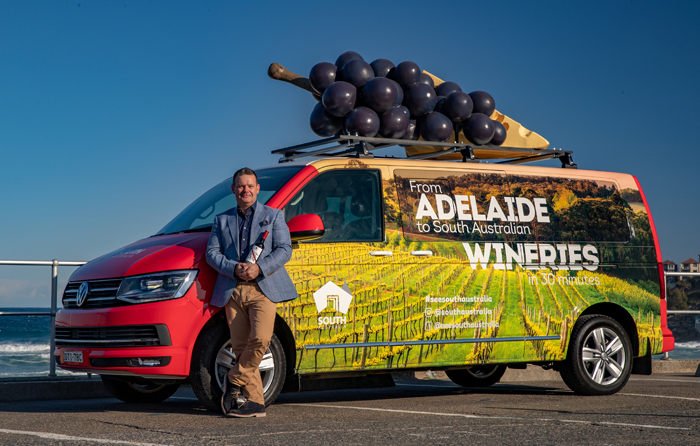 The exterior of the vehicles will be decked out with oversized grapes and a giant block of cheese, and inside the cars will be Chief Winemaker from d’Arenberg (aka the ‘Willy Wonka’ of McLaren Vale), Chester Osbourn, Chief Winemaker from Penny’s Hill, Alexia Roberts, and MasterChef Australia celebrity judge, Gary Mehigan. The immersive experience has been inspired by the award-winning d’Arenberg Cube. Commuters lucky enough to ride will enjoy cheese from a range of local McLaren Vale producers and a glass of wine from Penny’s Hill and Chapel Hill. 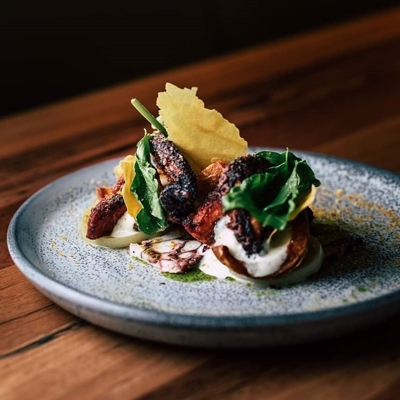 "Whilst filming MasterChef in South Australia, I was not only super impressed but reminded what an extraordinary variety of delicious food and wine choices there are. Amazingly fresh and high-quality food at every turn and some of my favourite wines in the world,” says Gary Mehigan. 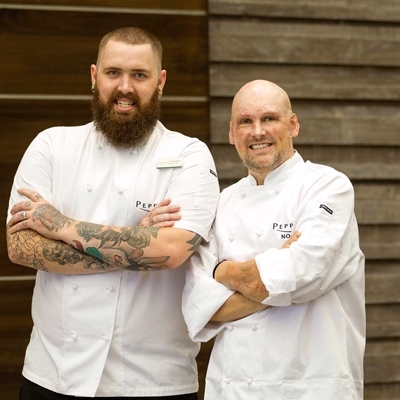 "What struck me too, was how South Australian producers, restaurateurs and wine makers are reinventing the South Australian Food & wine experience in their own way and adding their own unique fingerprint and style,” he continued. 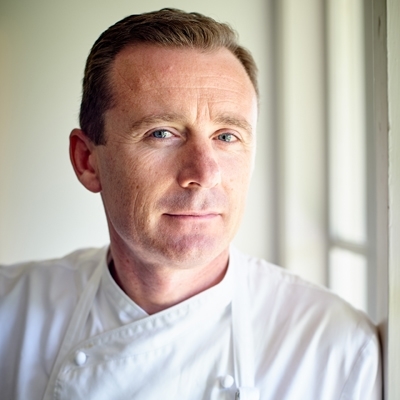 Chief Winemaker from The d'Arenberg Cube, Chester Osborn, will also be on-hand in the commuter cars to teach Sydney-siders about the bespoke and locally crafted produce on hand in South Australia’s McLaren Vale. The d’Arenberg Cube is a 'cube-shaped' five story building inspired by the complexities and puzzles of winemaking. Chester took the reins at d’Arenberg in 1984 and brought the building to life in December 2017, 14 years after thinking up the concept. 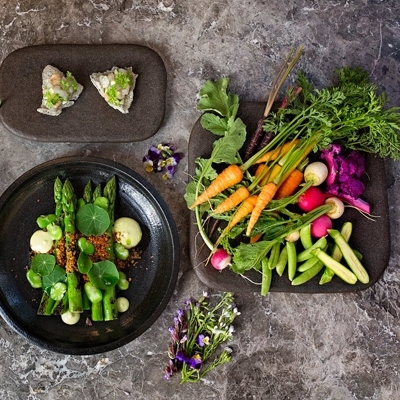 "The Cube is a unique venue, offering a range of immersive food and wine experiences, that excite the senses and challenge convention. 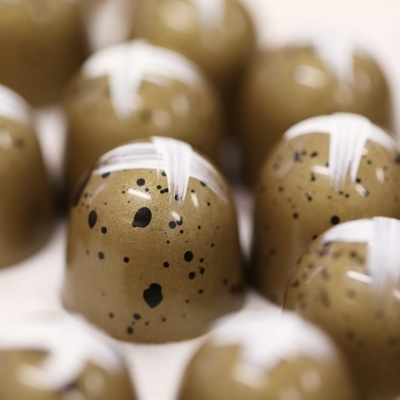 It was inspired by the complexities and puzzles of winemaking” said Chester Osborn. "Each of the five levels making up the building were carefully designed to entice and excite the senses, including features such as our wine sensory room and a virtual fermenter,” he continued. Visitor numbers to d’Arenberg’s cellar door have soared by 283% for the first half of this year compared to last year with local tourism businesses reporting increased visitation to the region as a whole. 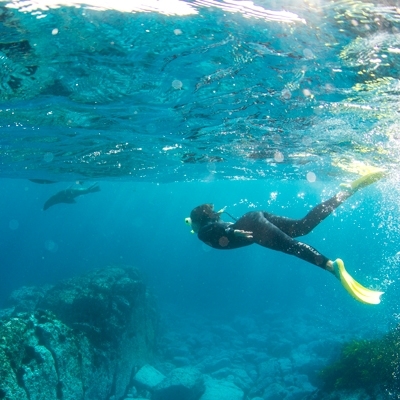 In addition, the high level of food and beverage packages available have inspired other businesses to examine their offerings, really making a statement that McLaren Vale is a premium food and wine destination to be reckoned with. One of the lucky commuters will also win an all paid for weekend in South Australian foodie heaven including: a visit to Adelaide, McLaren Vale, Barossa Valley and Adelaide Hills, where the winner will enjoy a cooking masterclass hosted by Gary Mehigan; plus, dining in some of the state’s best bars and restaurants. Details on how to enter the competition will be provided on the South Australia social channels bio link and Instagram stories. For more information see southaustralia.com and Instagram, Facebook, Twitter and YouTube.